Union Minister and senior BJP leader Harsh Vardhan on Friday said Prime Minister Narendra Modi was politically invincible and there was no one to throw a challenge to him in next year's general elections. "There is no one who can beat Narendra Modi... I do not think there is any challenge to him in 2019 (elections)," Vardhan said here.The Modi-led central government is under attack from the opposition over the depreciating rupee against the dollar, soaring fuel prices and the Vijay Mallya case.The Minister for Environment and Forest said that the Centre was focusing on the northeastern states right from the day it came to power in May 2014 because "during the last 50-60 years, these states did not receive the importance they deserved". "Every Ministry has formulated policies and schemes for the northeast. Everyone implemented them. 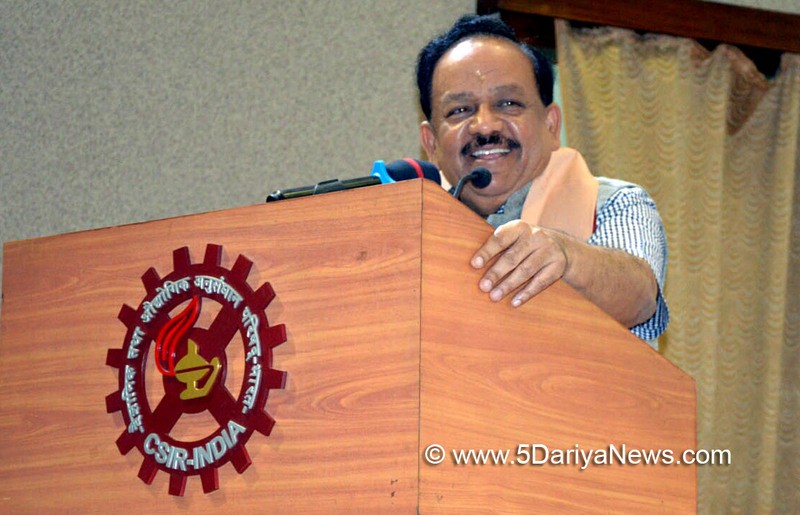 People of the northeast have recognised and acknowledged it," Vardhan said, adding that the Centre remains "passionate" about this region.The Minister, who also holds the Science and Technology portfolio, on Friday inaugurated a curtain-raiser at the CSIR-Central Glass and Ceramic Research Institute here for the India International Science Festival 2018 in Lucknow from October 5-8.